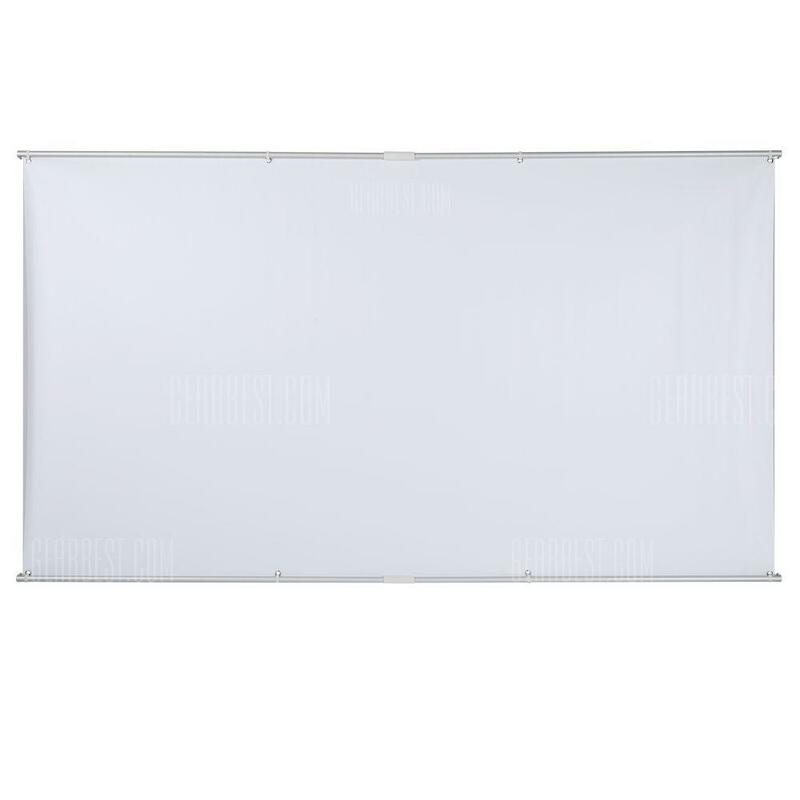 Houzetek new projector screen results from the most advanced technologies we adopt. Its avant-garde structure enables you to watch HD movies, pictures, video, presentations both day and night, at the same level of definition. 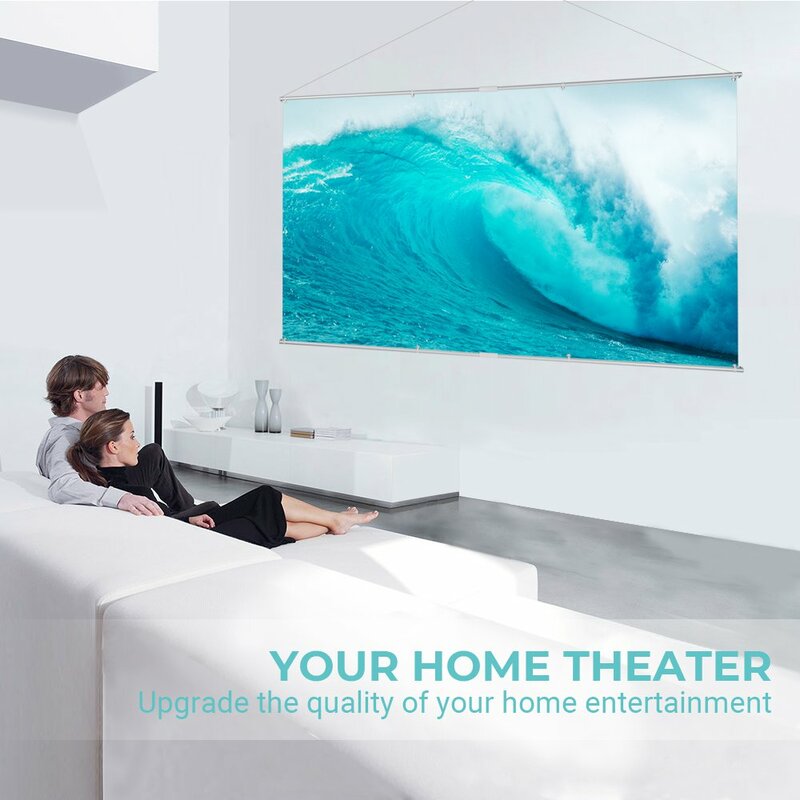 Clear, bright, true-colors to enjoy all the best from your home theater. 170 degrees viewing angle to allow anyone to have a full and complete vision at every corner of the screen. 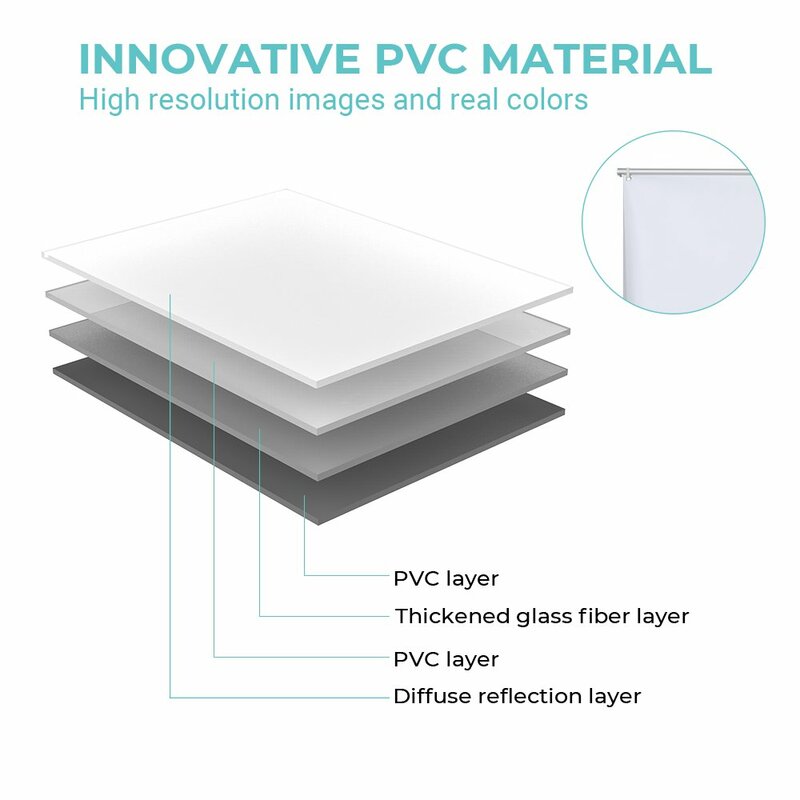 High-tech material with prism structure will provide the best projecting performance. 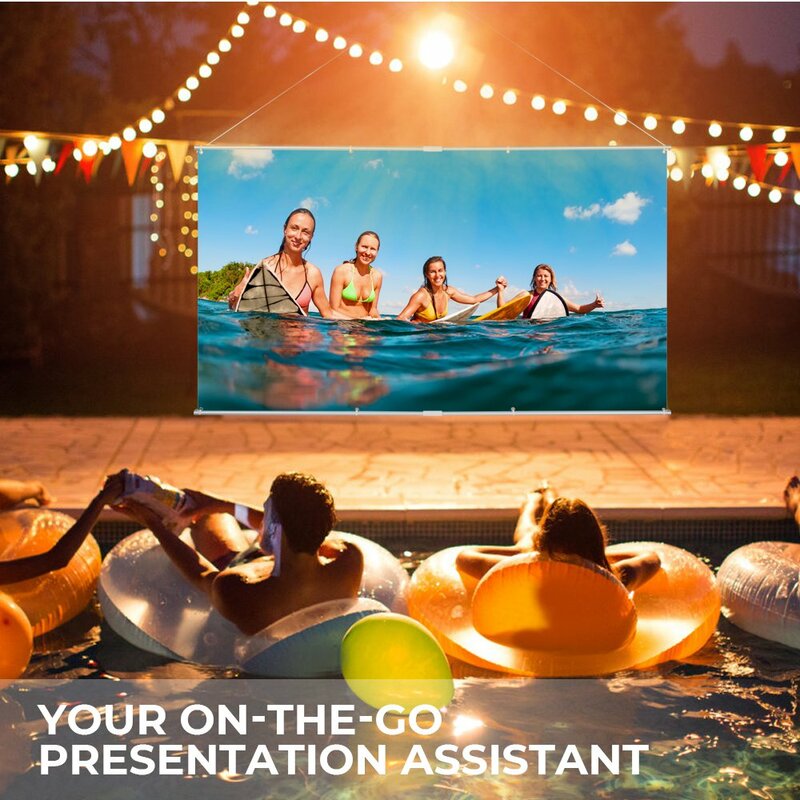 Lightweight, portable and installable wherever you are, the projector screen is a great tool for all your presentations on-the-go. 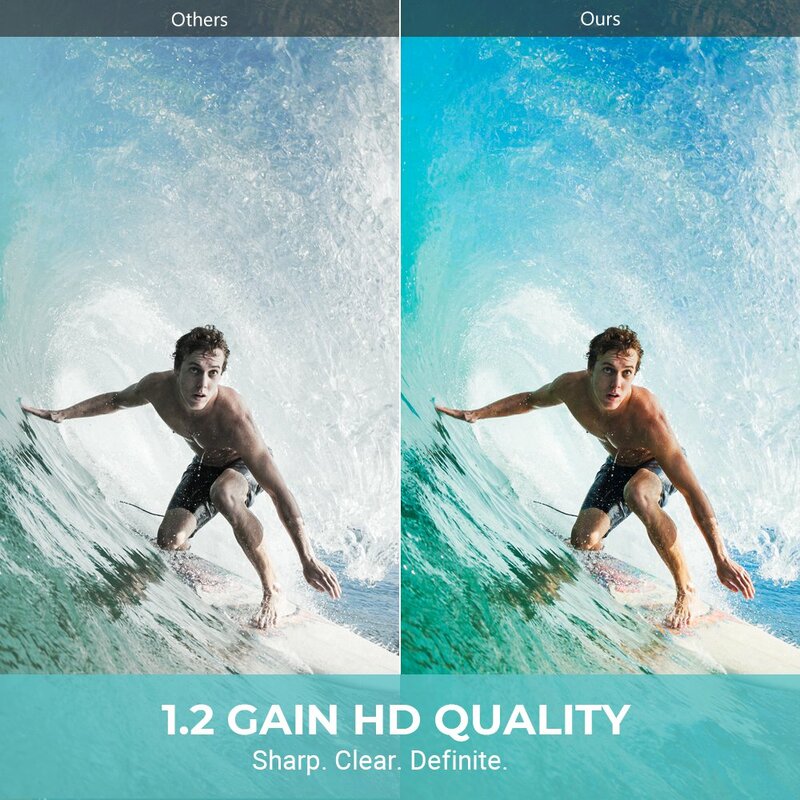 - We managed to eliminate the fog-like image typical of the traditional coated screens, providing bright, realistic and high-contrast perfect images. Furthermore this can effectively protect your eyes and prevent eye fatigue and dizziness. - Gain 1.2 HD Quality: the screen surface is made of four (Un four est une enceinte maçonnée ou un appareil, muni d'un système de chauffage puissant, qui transforme, par la chaleur les produits et les objets. En cuisine, il...) layers ( surface embossed diffuse reflection layer, upper PVC coating, middle thickened glass fiber layer and bottom PVC coating ). 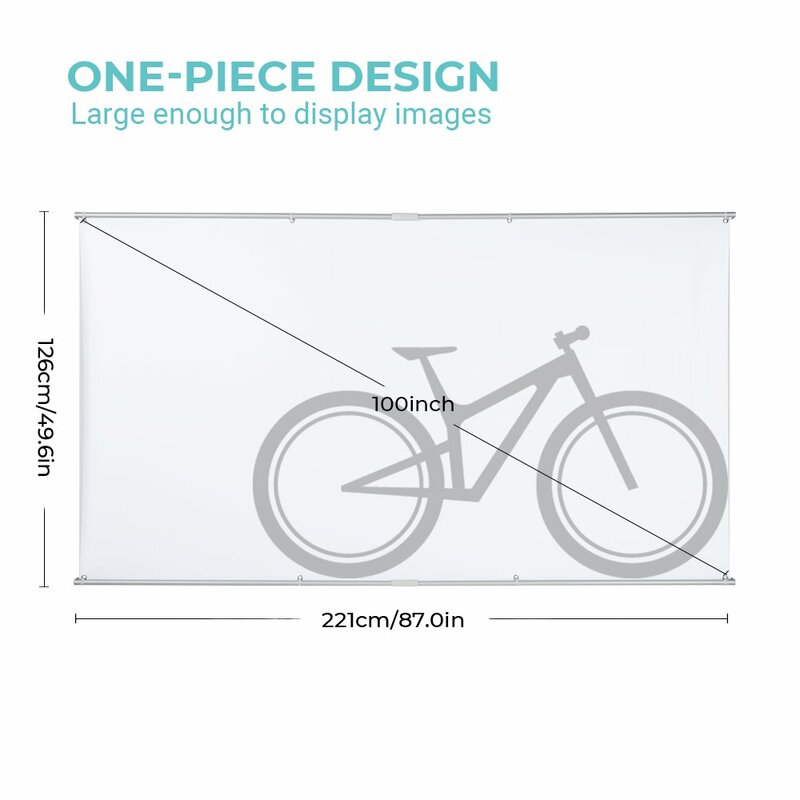 The screen surface has special micro-structure with uniform reflection and gain of 1.2. - The screen is soft and smooth. 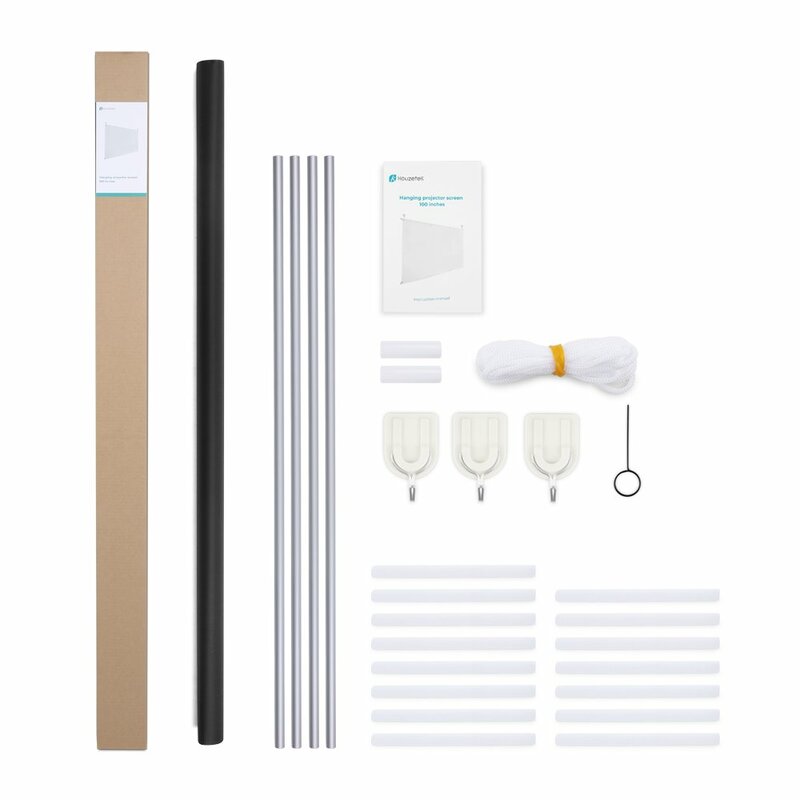 The material is durable and the projector screen is quick and immediate to assemble. 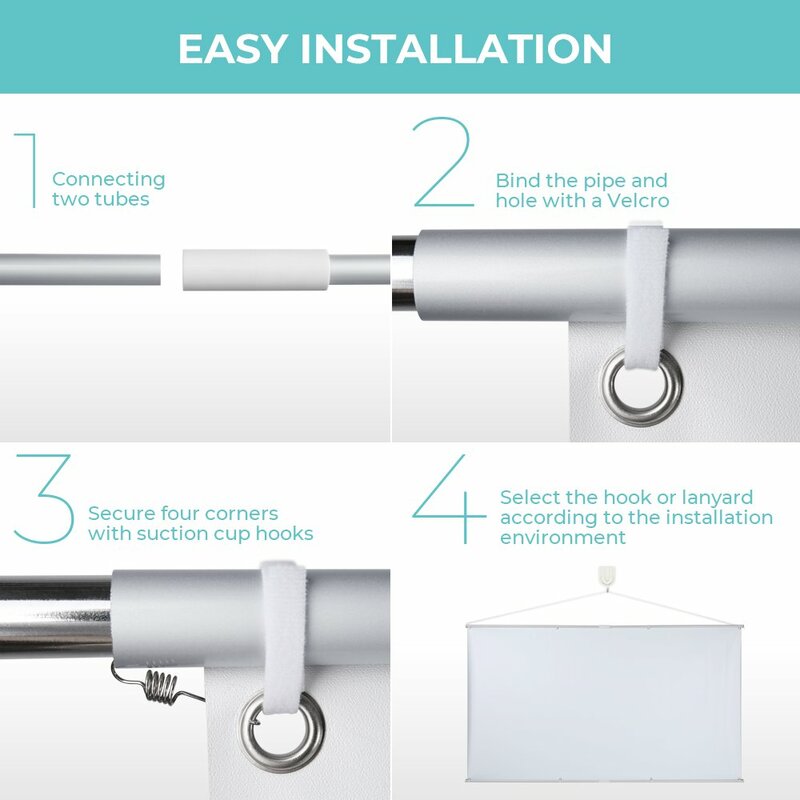 8 round holes are designed for easy fixation of curtain position. - Glass Fiber Material: compared with the traditional white plastic projection (La projection cartographique est un ensemble de techniques permettant de représenter la surface de la Terre dans son ensemble ou en partie sur la...) screen, the color contrast is improved by 10 times. 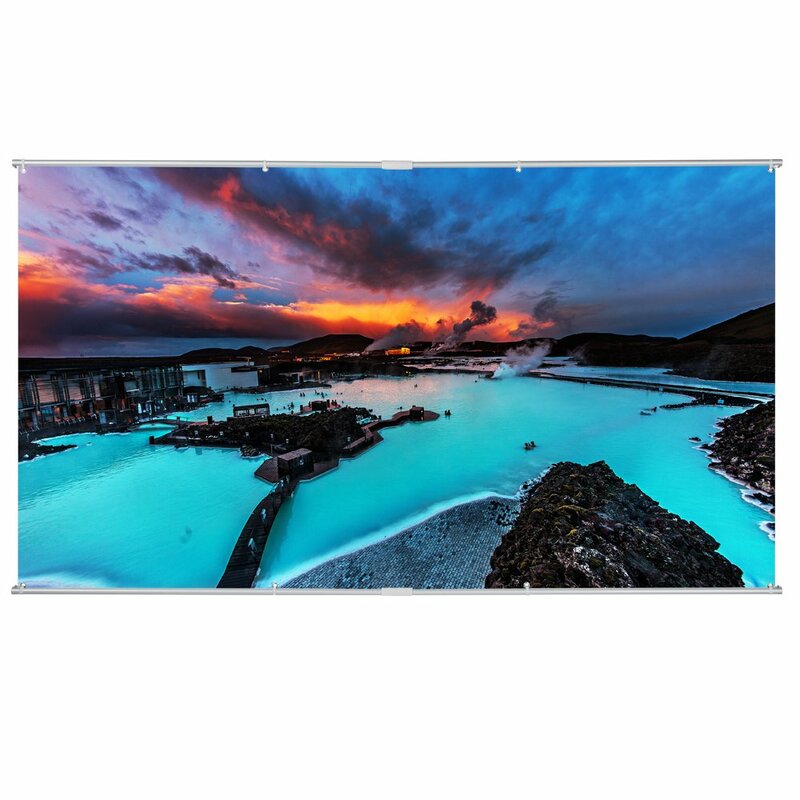 Its glass fiber material, high contrast surface offers a brighter image and greater contrast with deeper black in environments with low ambient light! It is recommended to match the screen with the projector of 2000 - 3000 lumens.